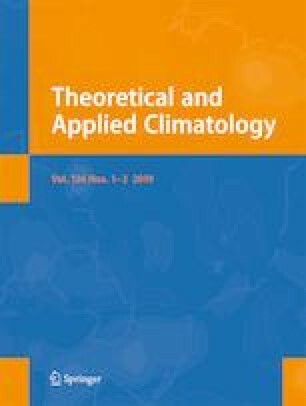 In this study, 765 instantaneous MERRA-2 (second Modern-Era Retrospective analysis for Research and Applications) aerosol optical depth (AOD) values at 550 nm were compared with those of a sky radiometer in Hefei (31.90° N, 117.17° E) for the different seasons from March 2007 to February 2010. The correlation coefficients (R) were 0.88, 0.83, 0.88, and 0.80 in spring, summer, autumn, and winter, respectively. The MERRA-2 AOD is also compared with MODIS Aqua AOD in the entire Yangtze River Delta, and good agreement has been obtained. The MERRA-2 AOD product was used to analyze the spatial distribution and temporal variation of the annual, seasonal and monthly means of the AOD over the Yangtze River Delta region from 1980 to 2016 (37 years). The mean values of the MERRA-2 AOD during the study period show that the AOD (between 0.45 and 0.55) in the northern area of the Yangtze River Delta was higher than that (between 0.30 and 0.45) of the southern area. The northwest part of the Yangtze River Delta had the highest mean AOD values (between 0.50 and 0.55). The AOD increased slowly in the 1980s and 1990s, followed by a rapid increase between 2001 and 2010. An AOD decrease can be seen from 2011 to 2016. The mean AOD in each month is discussed. High AOD was observed in March, April, and June, while low AOD could be seen in September, October, November, and December. Three different area types (large cities, medium-sized cities, and remote areas) had nearly the same annual AOD variation. Large cities had the highest AOD (about 0.48), while remote areas had the lowest (about 0.42). In summer, the AOD in remote areas was much lower than that in cities. The AOD variational trend over the Yangtze River Delta was studied during two periods. The increasing trend could be seen over the entire Yangtze River Delta in each month from 1980 to 2009. A decreasing trend was found all over the Yangtze River Delta in January, February, March, July, October, and November, whereas in other months, some parts witnessed increasing AOD while others saw a decreasing trend between 2010 and 2016. This work was supported by grants from the National Key R & D Program Pilot Projects of China (2016YFA0601901), the National Key Research and Development Program of China (2016YFA0602003), the National Key Project of Basic Research (2014CB441201), the National Natural Science Foundation of China (41590874 and 41375153), the CAMS Basis Research Project (2017Z011, 2016Z01, and 2014R17), and the Climate Change Special Fund of CMA (CCSF201504).